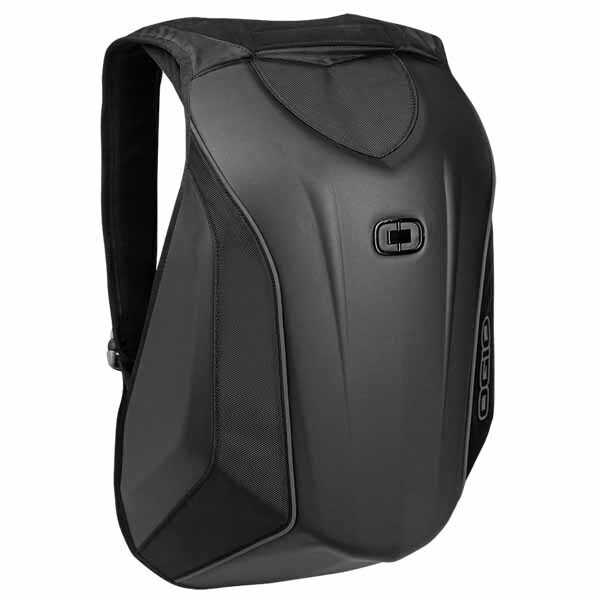 Live life in the fast lane with the Mach 3 Motorcycle Back Pack with No Drag Technology. This aerodynamic, lightweight and durable bag zips past the competition. A step up from the Mach 1, the Mach 3 Motorcycle Backpack with No Drag Technology boasts our bolstered back foam to increase ventilation, soft neck shoulder straps that won't dig in when picking up speed, and a 360 retro reflective safety piping and logo. The personal electronics pocket comes fleece-lined, while the added shoe storage compartments make professional commuting a breeze. What's more, the Mach 3 has a removable helmet carry strap and a padded tablet sleeve in addition to the laptop compartment. The organizer panel comes with a security pocket, while the interior lining features an updated red.